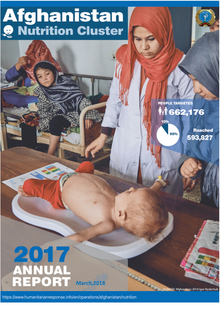 STUNTING, also known as chronic malnutrition, for children aged 0 to 5 years is defined as height/lenght-for-age less than -2 standard deviations of the median of the WHO Child Growth Standards. 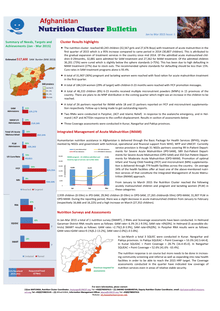 About two third of the provinces in the country are affected by prolonged winter dry spell . 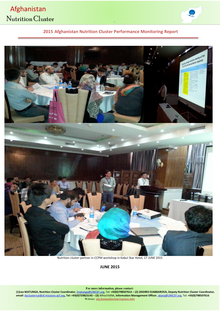 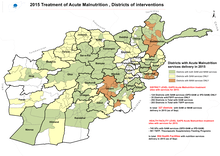 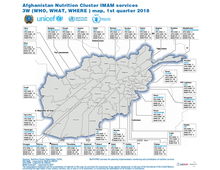 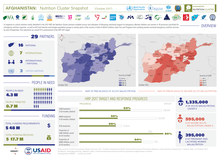 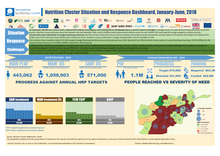 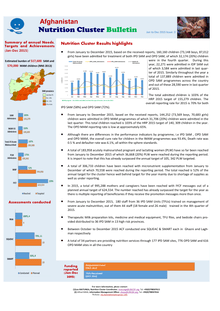 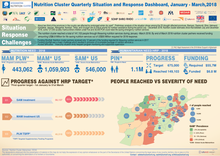 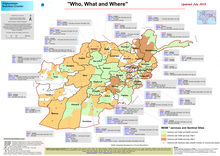 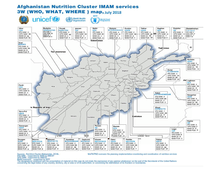 Preliminary analysis of the situation shows among the 20 drought affected provinces, Bamyan, Daykundi, Ghor, Helmand, Kandahar, Jawzjan, Nangarhar, Nuristan, Tkhar, and Uruzgan are of critical priority for nutrition assistance during the period July – December 2018. 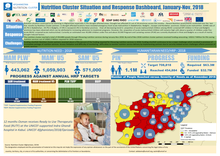 Nutrition cluster estimates show that between July and December 2018, some 121,000 acutely malnourished children under five and 33,000 PLW could need life-saving emergency nutrition services. 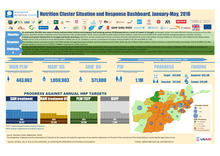 The cluster approach was established in 2005 following an independent Humanitarian Response Review, to address gaps and to increase the effectiveness of humanitarian response by building partnerships. 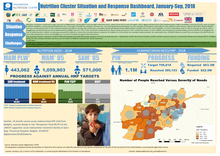 Thus, the cluster approach has been implemented for 10 years now. 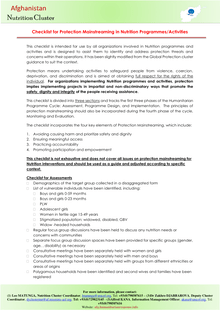 This checklist is intended for use by all organizations involved in Nutrition programmes and activities and is designed to assist them to identify and address protection threats and concerns within their operations. 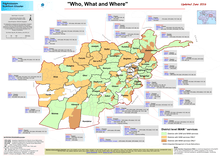 It has been slightly modified from the Global Protection cluster guidance to suit the context.